Solve.Care Foundation is a company from Eastern Europe, where governments and citizens swiftly adapt to new technologies. And they’re aiming at the creation of a new healthcare system, on blockchain. They want to disrupt the administration of healthcare and benefit programs, in order to generate value for all stakeholders: Consumers, insurers and service providers. Therefore, Solve.Care is planning to design, build and launch a platform that will redefine healthcare around the world. Basically, they’ll help connect all the stakeholders, reduce costs and streamline payments. And because it’s a remarkable project, I recommend you to read their white paper for further details. The CARE ADMINISTRATION NETWORK token, or CAN (that’s where a ticker is crucial…), is one of the two cryptos of the platform. And the foundation will issue 1,000,000,000 CAN tokens. While I read about the use of these CAN tokens, I’m not sure whether they’re using the ethereum standard. But I’d think so. Because they’ll use the ethereum blockchain protocol for their platform. So, users will need CAN tokens subscribe to the Care.Wallet and to the Care.Card. And to be able to make payments with Care.Coin, the other crypto. While CAN tokens should be available on exchange platforms, Care.Coin can’t be traded. And their function is a mean of payment for healthcare services between members of a care administration network. How to get the free CAN tokens? Solve.Care is running an airdrop campaign until March 30. And you can get 100 free CAN tokens if you join their airdrop. While it’s very easy to get free Solve.Care tokens, you’ll have to go through their KYC procedures. I remind you that KYC stands for Know Your Customer. Meaning you’ll have to prove who you are to get the tokens. So don’t use a pseudonym during registration! First of all, you need to click on this link, to join their Telegram bot – you need a Telegram account. And it will assist you during registration. Click or press the Start button to… Get started! Read the introduction message. And click on Yes, I am aware. Then click on Join group. And click Join when you’re on the group chat. When you’re done, you’ll get a message notifying you of your eligibility to receive 100 CAN tokens. But you’re not done yet. Indeed, you need to create a wallet, by clicking on the Register account button. Then fill in the registration form with your real first and last name, a valid email address and a password. Also you’ll need to let them know how many CAN tokens you want to purchase. Because they’re also selling their tokens. You can input what you want. But maybe if you put one million, you’ll get a call from them! Next step is to verify your email address, by clicking on the link in the email you received. And you’ll have to give some proof of your identity (ID etc.). Just follow the instructions on the screen and upload the required documents. That’s it, you now have to wait for Solve.Care to review your application. And when they do, you’ll receive 100 CAN tokens between May 16 and May 31. Finally, you can get more CAN tokens by sharing your personal referral link with your friends and family. And you’ll receive additional 20 CAN tokens for every referral that completes all steps of the Airdrop registration! 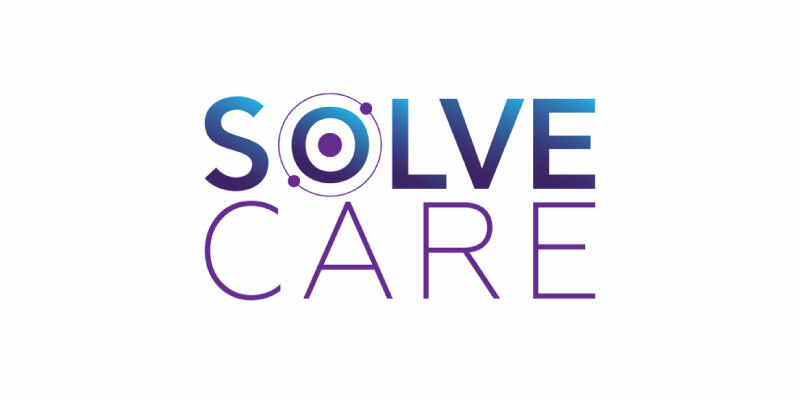 Solve.Care is a revolutionary platform for healthcare management, which brings benefits to all stakeholders: Patients, employers, doctors & hospitals and administrators & insurers. And they're giving away free CAN tokens. Claim yours now!